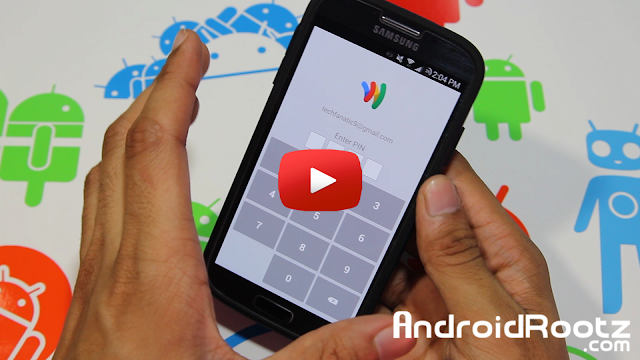 How to Install Google Wallet on Galaxy S4! [MOD] ~ AndroidRootz.com | Source for Android Rooting, ROMS, Tricks and More! Google Wallet is a great app that allows you to use your Galaxy S4's NFC to open certain apps, share files, and even pay for your groceries! For some reason Google Wallet isn't supported for the Galaxy S4's. Using this guide you will be able to use Google Wallet on your Galaxy S4 T-Mobile SGH-M919, AT&T SGH-I337, Verizon SCH-I545, and Sprint SPH-L720! Make sure your Galaxy S4 is rooted and has a custom recovery installed (CWM/TWRP)! If you have Google Wallet installed on your Galaxy S4 make sure you uninstall it before continuing! 1. Download Root Browser from the Play Store then navigate to "system" > "build.prop" > "RB Text Editor". 2. Change "ro.product.model", "ro.product.name", and "ro.product.device". Make sure you grant root access if asked! Change it to the Galaxy Nexus build prop and save. 3. Download ONE of the TWO files depending on your Galaxy S4. If your running on TouchWiz download the TW version and if you running on AOSP download the AOSP version using the link below.